A warm-hearted Contemporary Christian pop singer with a gentle laugh, gregarious smile, and moving melodic gift, Matty Mullins shares the hope of the Gospel on Unstoppable, a sophomore album as outwardly improbable as it was, in fact, spiritually inevitable. Unstoppable is a collection of songs full of joy and worship, anchored in authenticity and earnest truthfulness, unafraid to declare victory over real brokenness. He gets to play music for a living. He’ s married to his high-school sweetheart, has tons of fans, a burgeoning hair product business and is surrounded by good-natured friends. Yet despite these gifts, Matty Mullins received an important supernatural reminder that fear and anxiousness can humble anybody, even the most steadfast of believers. 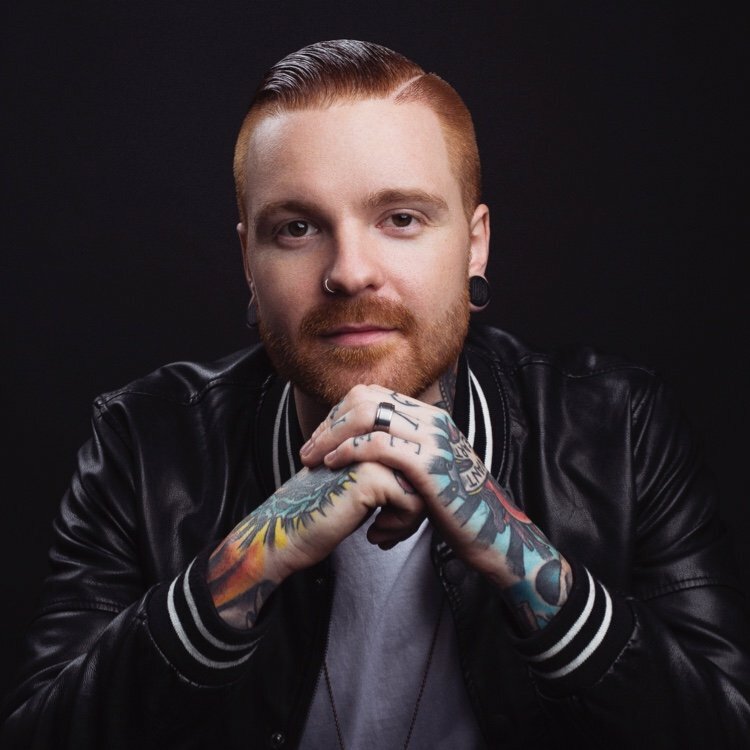 As frontman for Memphis May Fire, one of the premiere bands in the “metalcore”genre, Mullins encourages crowds at large secular music festivals like Warped Tour with a mixture of relatable personal confessions and faith-based positivity. He’ s blessed with one of the most recognizable and vital voices in alternative youth culture, helping his band garner rock radio play, millions of YouTube views, magazine covers around the world and over two million followers on social media, while simultaneously offering an even fuller expression of his vibrant faith as a newly emerging CCM solo artist. Memphis May Fire’ s 2014 album Unconditional debuted at #4 on the Billboard 200 and its follow-up, This Light I Hold, has broken through to commercial rock radio. Mullins honors his gift, offering fellowship and cathartic expression to a diverse audience with his abrasive and loud metalcore band, while equally pouring passion into the more stunningly spirit-filled anthems of a different sort that color his solo work. “I’ ve been writing so much, I had such an overflow of lyrics, and there is only so much I can say within the boundaries of heavy music,”he explains. “I grew up on Christian radio and pop music. It just always lived inside of me. It continues to be a huge part of who I am. ”A calling to make an impassioned musical declaration of faith led to the creation of Mullins self-titled solo debut, which debuted at #66 on the Billboard 200 in the fall of 2014. Featuring worshipful supplications like “See You in Everything”and “More of You,” as well as the gripping album-closer “Glory” and it’ s accompanying cinematic music video, Mullins’ solo debut was chiefly a collaboration between him and Cameron Mizell, who has produced records for Memphis May Fire and their alt-rock metalcore contemporaries like Sleeping With Sirens, Crown The Empire, and The Word Alive. Over instrumental music that ran the gamut from singer/songwriter jams to dance-floor ready pop, Mullins lyrics and vocals indulged his deep love for CCM touchstones like Audio Adrenaline, MercyMe, The Newsboys, DC Talk, Michael W. Smith, and Steven Curtis Chapman, endeavoring to put the same type of positivity into the proceedings. “It was so much fun and therapeutic to express myself in a different fashion,” he says. Unstoppable is much more focused, ‘ though no less diverse. “What matters most is that the message is always consistent,” the singer notes. Mizell returns as producer, but Unstoppable sees Mullins stepping out as a songwriter like never before, collaborating with different singers and songwriters in order to make his strongest statement yet. Opening upto collaborating with Kipley led to even more enriching experiences: Kipley enlisted four-time Grammy nominee Matthew West, one of Matty’ s favorite current CCM artists. “I was talking with Matthew and Pete about my story, about the unbelievable amount of daily anxiety I had for almost two years,”he explains. “It was deeply rooted in things that had been unaddressed in my life for years. I realized through it all that God wasn't causing it to happen. He was allowing it to happen so that I could reach out for Him in a whole new way. The first verse of ‘ Until I Need You’ says, 'Break me down so you can build me up. Pour me out so you can fill this cup. This life I've made, God, it's not enough. Break me down so you can build me up.' It’ s me crying out to God in my darkest moments, seeking His will. ”“I Choose You” is a reminder to never let the past overshadow the present or future. The chorus proclaims, “Today I choose forgiven / today I choose redeemed / today I choose to listen to what You say about me / this time I won't give into the lies I once believed / I'm falling into the outstretched arms of truth / today I choose You." “So often, we as believers look to the past and think about how much we've done wrong,” says Mullins. “’ I Choose You’ is about choosing to believe that I am who God says I am and not who the world says I am. I'm choosing God in those moments of despair. I'm choosing Him even when all of my humanity wants to look at my mistakes and my brokenness. The song is about how everyday, I will choose Him instead. ”The album’ s title track and lead single features Jordan Feliz, New Artist of the Year winner at the Dove Awards in 2016. “We first connected over social media and our friendship blossomed quickly,” Mullins explains. “Jordan came from the metalcore scene as well. It was a really cool opportunity for us to meet each other and collaborate.” The song is intended to be an anthem for anyone who feels utterly hopeless, reaching for something real, in hopes that they may find peace in the one who loves them most. “God continuously opens doors with this project in a way that I've never experienced before,” says Mullins. “I know God has me in Memphis May Fire for multiple reasons. I thought this solo project was just for fun, but He's continuously revealing Himself to me by saying, 'I want you to be fully invested in both of these projects.’ I believe God can use me in mainstream music and in Christian music at the same time, to introduce people to Jesus and to encourage those who already believe."